In the last post I talked about how important proper nutrition is for building muscle and strength. While researching the topic of nutrition I happened across an interesting theory that argues that you could build extra muscle from your workouts by simply timing your intake of certain nutrients before and after your workouts. After toying around with nutrient timing for a few months I have found that it will help you grow several pounds of muscle in just a couple of weeks (so long as your workouts are intense enough)! Essentially, nutrient timing is a 24-hour eating schedule that is started by an intense 30- to 45-minute workout. By eating a few easily-digestible nutrients before and after each workout, as well as eating highly-nutritious meals in-between each workout, you can enhance how much muscle you can grow. More specifically, by correctly timing your nutrient intake you can elevate a hormone that accelerates muscle synthesis while suppressing a hormone that breaks down muscle. More muscle synthesis than muscle degradation then you grow muscle overall. More muscle degradation than muscle synthesis then you lose muscle overall. The same amount of muscle synthesis and degradation then you maintain the muscle you have. So, if you want to build muscle very quickly then you have to both minimize muscle degradation and enhance muscle synthesis. Of course, for you to grow muscle of any kind you have to signal a need for this additional muscle. This need can be simulated by 30-45 minutes of intense exercise 5-6 days a week. If these exercise sessions are intense enough, then hormones will be released that can enhance muscle growth. Earlier, I mentioned that muscle growth happens when there is more muscle synthesis than muscle degradation. This muscle synthesis is facilitated by anabolic hormones. While testosterone and growth hormone are the better known anabolic hormones, insulin is the muscle-growing hero of nutrient timing. Insulin is a storage hormone that can store sugar, fat, and protein. When protein is stored in muscle (as amino acids), these muscles will grow. Nutrient timing usually starts with easily-digestible pre- and post-workout drinks that contain starch, protein, and a few essential nutrients. With its ability to reduce the muscle-destroying hormone cortisol, while also elevating the anabolic hormone insulin, nutrient timing can boost muscle synthesis and prevent muscle degradation. This creates and environment that can turbo-charge your exercise program's ability to build muscle. Prevent the drop in blood sugar that can cause the release of additional cortisol. Increase blood flow to and from muscles, increasing their capacity for energy output. Enhance the cortisol-reducing ability of the anabolic and growth phases that follow. About 25g of carbohydrates as starch (maltodextrin or dextrose). Enhance muscle synthesis and inhibit muscle degradation. Accelerate the movement of metabolic waste from muscle through increased blood flow. Accelerate the regeneration of muscle glycogen stores. Boost the immune system, accelerating tissue repair. Anti-oxidants (ALA, B-vitamin complex, and vitamins E and C). During this phase, exercise-damaged muscles should be growing and glycogen stores depleted during exercise should be replenished. Finally, nutrient timing doesn't build muscle, intense exercise does. Nutrient timing only creates an environment that is more responsive to intense exercise. Without engaging in intense exercise, nutrient timing will do nothing for muscle growth. Nutrient timing is a way to enhance muscle synthesis and inhibit muscle degradation. It does this by using pre- and post-workout starch/protein drinks to spike the anabolic (muscle building) hormone insulin while suppressing the catabolic (muscle destroying) hormone cortisol. If these drinks come just before and after an intense workout, and followed by several nutrient-dense, toxin-free meals (containing safe starches and high-quality protein), then you should experience a rapid increase in muscle and strength. In the next installment of this series I'll spend more time talking about the anabolic and catabolic hormones that can create muscle, or destroy it. 1. Chambers, Ashley and Kravitz, Len. 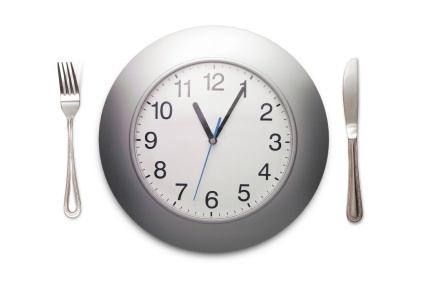 Nutrient Timing: The New Frontier in Fitness Performance. UNM.edu. [Online] [Cited: February 20, 2012.] http://www.unm.edu/~lkravitz/Article%20folder/nutrientUNM.html. 2. Ivy, John. Nutrient Timing. Laguna Beach, CA : Basic Health Publications, Inc., 2004. 3. Farris, Russell. Potbelly Syndrome. Laguna Beach, CA : Basic Health Publication, Inc., 2005. 4. Lindeberg, Staffan. Food and Western Disease. Ames, Iowa : John Wiley & Sons Ltd, 2010. 5. Elliot, Tabatha A., et al. Milk Ingestion Stimulates Net Muscle Protein Synthesis following Resistance Exercise. s.l. : American College of Sports Medicine, 2005. 6. Yudkin, John. Sugar: Pure, White, and Deadly. New York City : HarperCollins, 1972.